Investor-owned utility Ameren will build a multi-million-dollar solar energy facility on a 19-acre site next to its electrical substation in O’Fallon, Mo., according to press reports. Ameren should complete the solar facility by April. 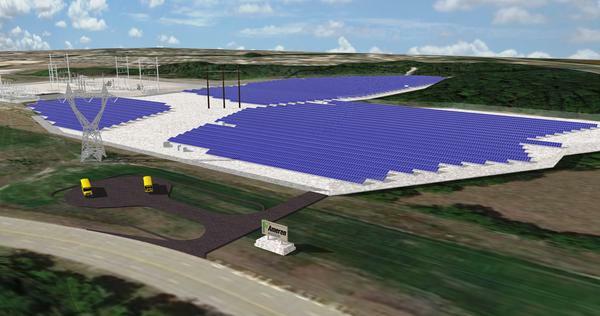 A rendering of Ameren Missouri's solar power plant. The 19,000 solar panels will provide 5.7 megawatts of electricity, enough to power about 650 houses in the St. Louis area, Ameren Missouri officials said. The project will cost between $10 and $20 million, according to published reports.